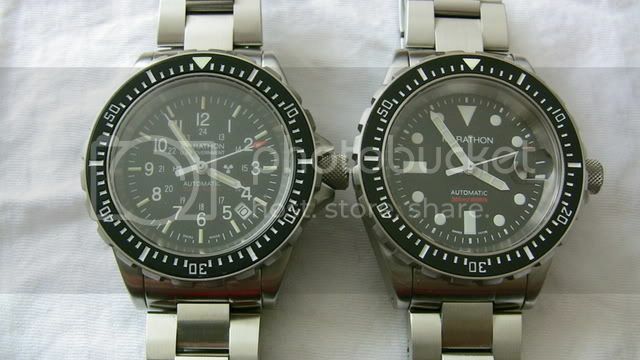 A friend in the U.S. was not using his Marathon 36mm mid-size diver much and he agreed to sell it to me, it arrived last week in mint condition with two unused Marathon rubber straps (two piece and single piece) and an unused Marathon stainless bracelet. What a gorgeous watch! I am not a fan of bracelets, but I think that's how I might wear that one if it were me- it just suits the watch so nicely! That is a very sharp looking watch!! I started with the (quite heavy) stainless bracelet and am now trying out the two piece rubber strap, I've never liked rubber straps much because they make me sweat, so far this seems ok. Awesome looking watch. 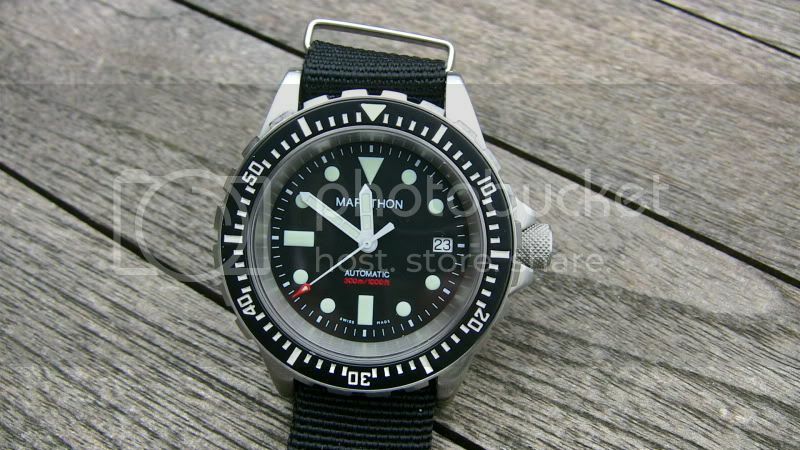 I've always liked the diver style, but the typical size is way too big for me. Now, 36mm, that sounds just about perfect! Thanks for sharing. The bracelet probably wouldn't last with me either. It looks sweet but I find them uncomfortable and arm-hairy-pully. Have you considered a NATO type strap? That's usually my go to when the factory strap comes off. 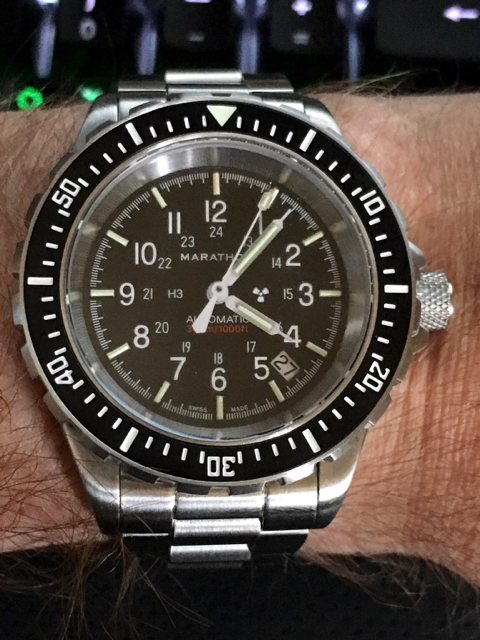 I have used NATOs on and off for most of my watches over the years, lately I have been using the U.S. military style with the single, wide nylon keeper, I have a few of both at home in Norway that I might try when I get back from visiting family in Australia at the end of the month. Nice looking watch you got there. wearing the watch for one month now, still loving it on the Marathon rubber strap! That is indeed a real beauty! I have a 42mm as well. Unfortunately mine has to go back as its developed a fault with the winding. Lovely watch Smashie! That's why I use quartz watches for everyday use and put up with autos for special days, hope it's fixed and on your wrist again soon! 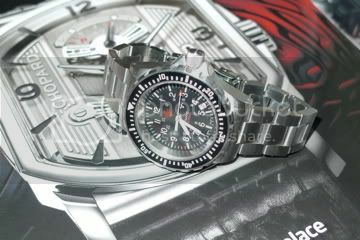 all watches need tritium vials in my opinion! Very nice watch. I do like the smaller sizes and that looks about perfect. Not sure if this applies but the rubber band may be natural rubber. If it smells like vanilla then it likely is. I bought a used Momentum dive watch some time ago and it came with a rubber strap. 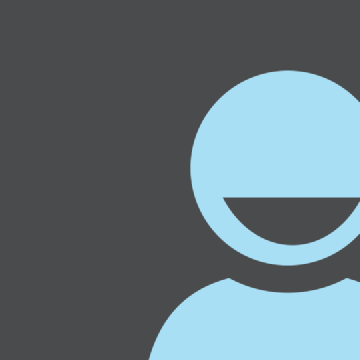 I wasn't impressed looking at it but it is very nice to wear and isl lasting very well. It is natural rubber - a far cry from the breakable plastic on my timex ironman pulsemeter. Mine went back for warranty repair yesterday, I should have it back in 10 days or so. I went through a bit of a Marathon phase a while back. At one point i had a GSAR with Gov crest clasp, GSAR Maple Leaf with maple leaf clasp, SAR with date cyclops and one without, all autos. 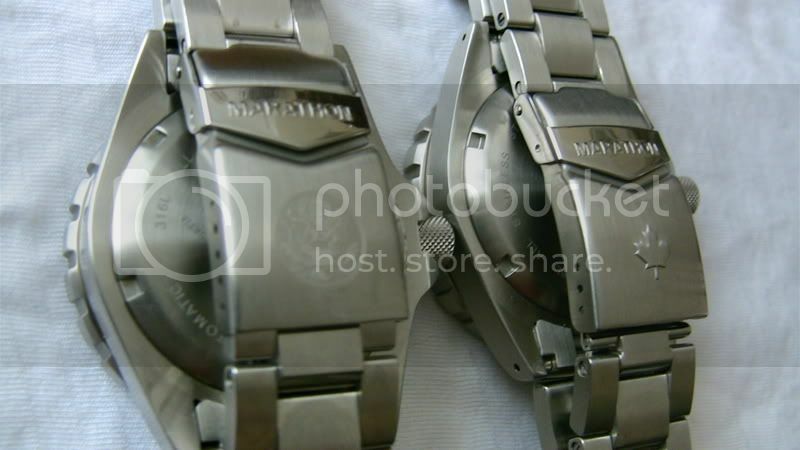 I'd alternate them on bracelet and NATO. Had the rubber strap but never really took to it. 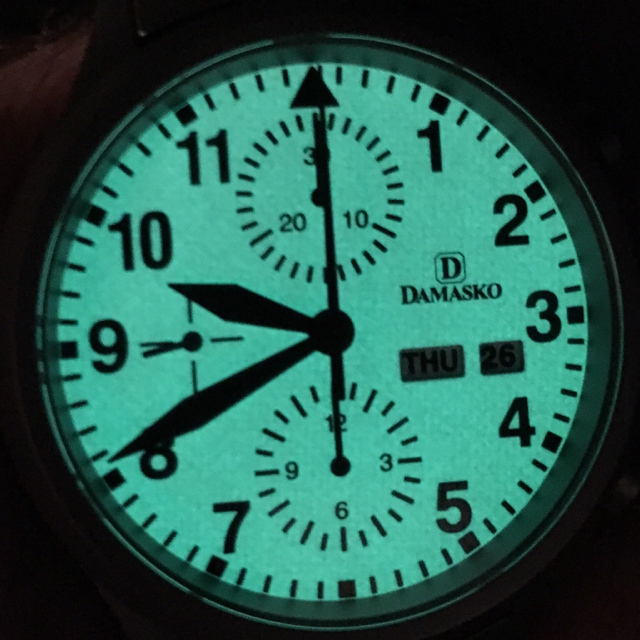 Great tool watches, enjoy yours. Yes, it's hard to go past the quality of the Marathon divers, you have a very nice bunch! My little one has the SS bracelet with the US Govt. crest, at the moment I'm wearing it on a mix of British and US NATOs. it's back on the bracelet with the US seal for a few days, finding it a little heavy and miss the latest strap I purchased, a grey US military style nylon with the nylon keeper.